Panama City Beach: The ‘Spring Break Capital’ For Brands Too! Each year approximately two million students decide to hit the beach during their break week in late February and March. There are, of course, many places to choose from that are considered to be Spring Break destinations. But no other place in the world can even come close to recording the same amount of students that decide to make Panama City Beach, Florida their travel spot. In fact, more students come to Panama City Beach each year than all other Spring Break destinations combined! The Spring Break migration to Panama City Beach started more than two decades ago, spreading out from Daytona Beach on the Atlantic Coast, and other parts of Florida. The annual college party, recognized as the biggest student event of the year, is now reaching peak numbers (as high as half a million students) which amounts to huge dollar signs for local businesses and outside businesses and brands looking to promote their products and services. In the early 1990s, Panama City Beach was one of the very few communities that actually welcomed Spring Break to its beaches, and the town’s open invitation was noted. Students from all over the East Coast and Mid-West came to ‘Spring Break on Panama City Beach’ because it was affordable, easy to get to, and contained over 27 miles of white sandy beaches for students to spread out across and enjoy. And the city loved the business. Spring Break provided the necessary kick-start to a prosperous summer tourism season. What began as 25,000 attendees quickly became 250,000 within a short 10 year span – and eventually doubling to half a million soon after. Word of mouth about this small town was indeed spreading like wildfire. MTV crashed the party in 2006 and broadcast its huge annual Spring Break series of concerts, contests and parties from massive stages set up on the beach. They came back in 2008 and then again in 09. Arguably, the arrival of MTV solidified this beach town as the undisputed Spring Break Capital. Businesses and huge corporations have also taken notice and with social media now sinking its hooks into everyone, the dynamics have once again changed. Whereas MTV was the necessary tool seven years ago to help with the destination’s global blast off, these days, all that’s necessary is a smartphone. Thanks to Facebook, Twitter, Instagram, Pinterest, and other social platforms, the business and allure of Spring Break in Panama City Beach has been propelled to even newer heights. Students are coming back for a second, third, fourth and even fifth time, totally ignoring what any other option would be. Spring Break has become part of the student social fabric. It’s exciting to even just mutter the words “Spring Break” to your friends and social circle. 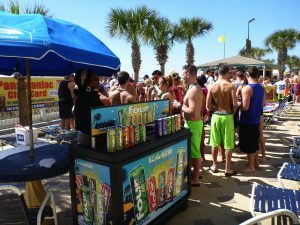 When big brands like Coca-Cola, RedBull, and Western Union (among so many others) arrived to set up on the beach and promote to the massive student audience, a message was delivered: Spring Break was no longer just a beach party. It became a massive business opportunity. Spring Break has become part of a business strategy for reaching targeted consumers. Where else can you get the attention of a couple million students within a very short period of time? Brands that are willing to be creative, energetic and fun with their promotions stand a very good chance of being remembered once the party is over – and that is the bottom line. Will we see your brand during Spring Break 2014? 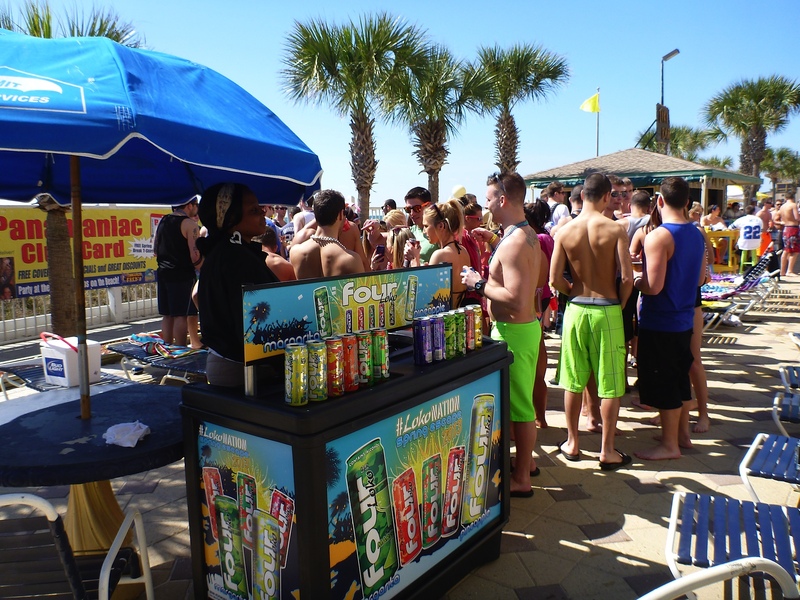 For all of your Spring Break marketing needs, including beach activations, branded environments and other related promotional activities, please contact Collegiate Marketing Group and speak to their team about how they can help your brand succeed within this very prosperous opportunity.